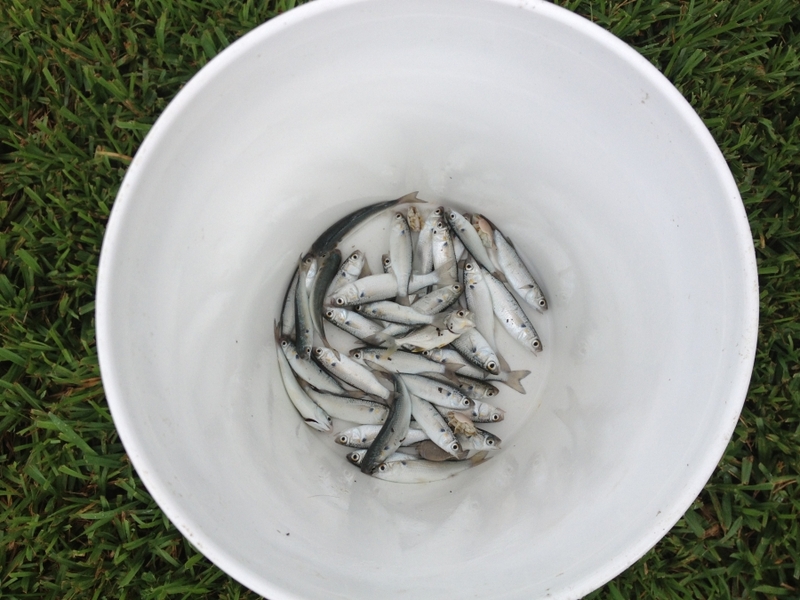 If you've read any of my surf fishing reports, you've probably seen me mention Fishbites artificial bait. I use it everywhere one might fish with shrimp. I've found fishbites to be just as effective as natural shrimp for atracting fish and getting bites. 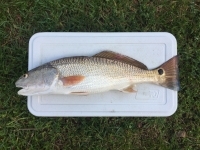 The biggest benefit of using Fishbites over natural shrimp, is the ability of fishbites to stay on the hook. Anyone who has fished with shrimp, kows how easily shrimp will fall off the hook. The soft shrimp bodies are not very durable. Fishbites, however, is very difficult to get off the hook. I frequently resort to scissors, to remove fishbites from my hook when changing baits. 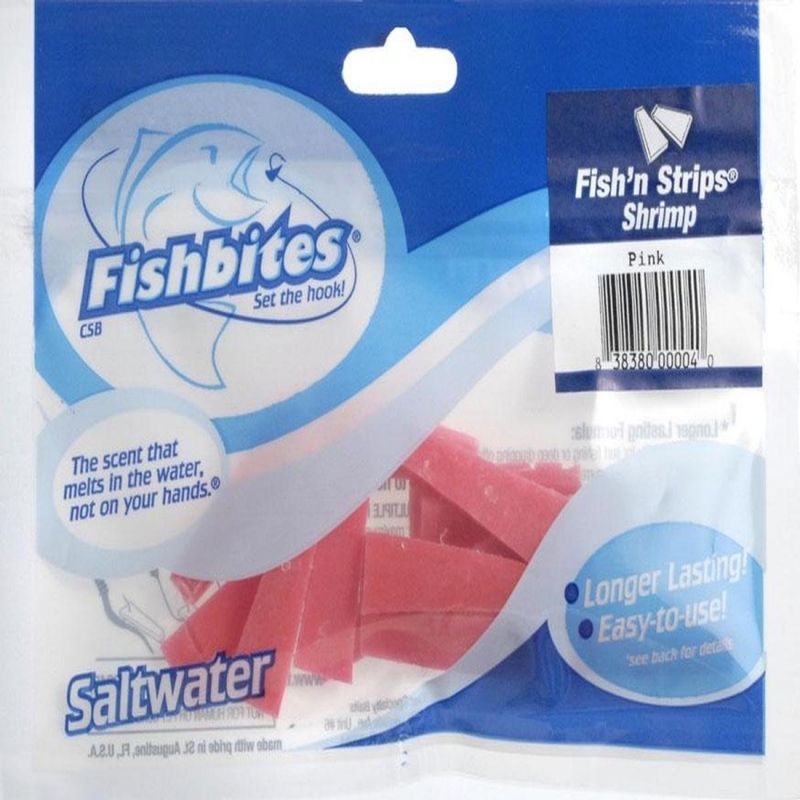 Fishbites is basically strips of a very durable mesh, covered in a compressed layer of shrimp stuff, that slowely softens and dissolves in the water. 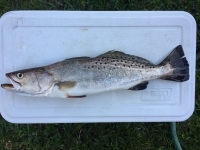 When you hook a piece of fishbites, the hook goes through the mesh and the barb catches on the mess, so it's very difficult to remove. 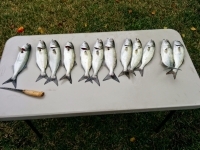 I frequently catch several fish on one piece of fishbites. I was very happy too learn that fishbites are made right down the road from us, in St Augustine, FL. 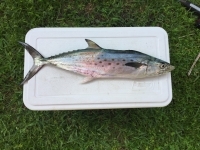 From the fishbites website "Fishbites are the result of a lifelong passion for fishing and decades of scientific research. Carr Specialty Baits, Inc. (CSB), maker of Fishbites, is a family-owned business founded in 2000 in St. Augustine, Florida, by avid angler and world renowned marine researcher Dr. William Carr and members of his family." I highly recommend you give Fishbites a test run and try it out for yourself !! 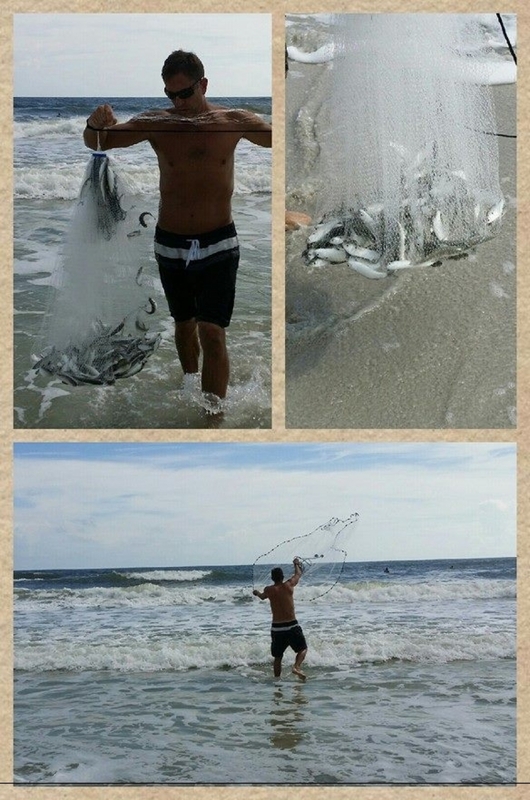 One of the very best baits, for surf fishing at Jacksonville Beach is finger mullet. 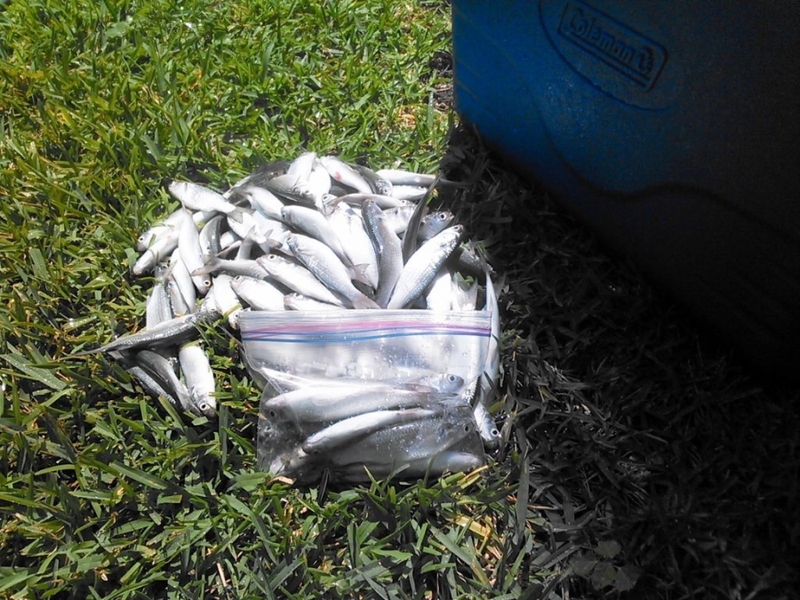 Finger mullet are freely available in the surf, several months of the year. 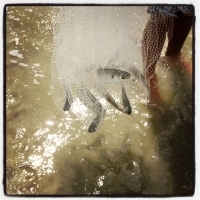 All you need is a cast net,and you can pull in more finger mullet than you'll know what to do with. 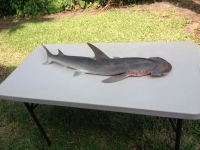 The mullet in the picture above were caught August 17th 2013. It was the first school I saw last year at the beginning of the mullet run, which usually starts in the Fall and runs into the Winter. From August to January, I can typically catch enough live finger mullet to fish with, plus plenty more, which i freeze in quart bags for later use.